As drinking from bottled water is turning to be a popular lifestyle today, it consequently increases the pile of plastic wastes at the landfill. 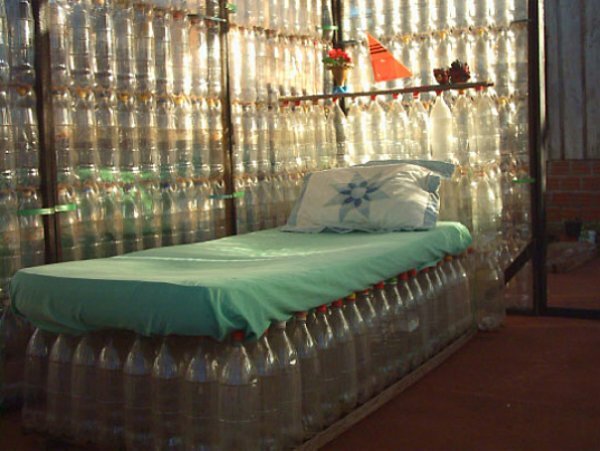 Did you know that plastic bottles need 700 years before they can start composting? Did you also know that about 80% of the total plastic bottles used are not recycled? Can you imagine what happens to us if recycling plastic bottles is not improved within a few years – or in that case, what happens if there are more of us who use bottled water in the next 10 years? It’s scary to even visualize that. That’s why we should try to REDUCE using and drinking from bottled water and with the existing piles of plastic wastes we should try to REUSE them. 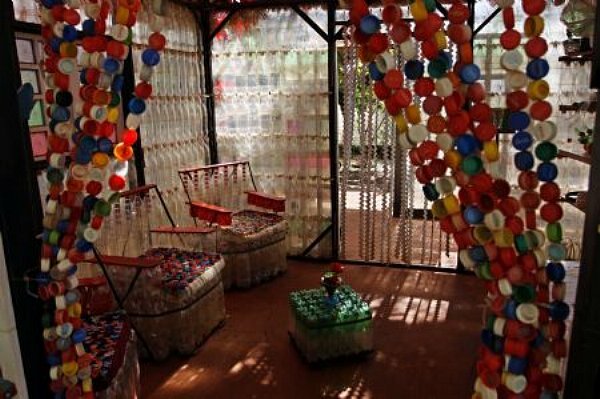 If you think the latter sounds impossible, check out some cool creative ways of reusing plastic bottles around the world. 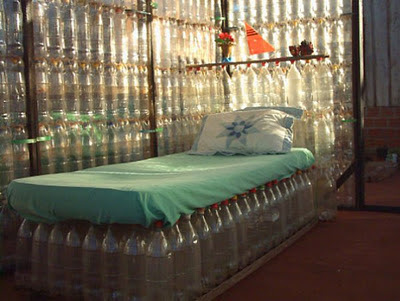 Eco-Tec has houses made of plastic bottles built in many countries. In Nigeria, this helps solve the housing shortage. The curtains made of plastic bottle caps are really fun to watch, aren't they? 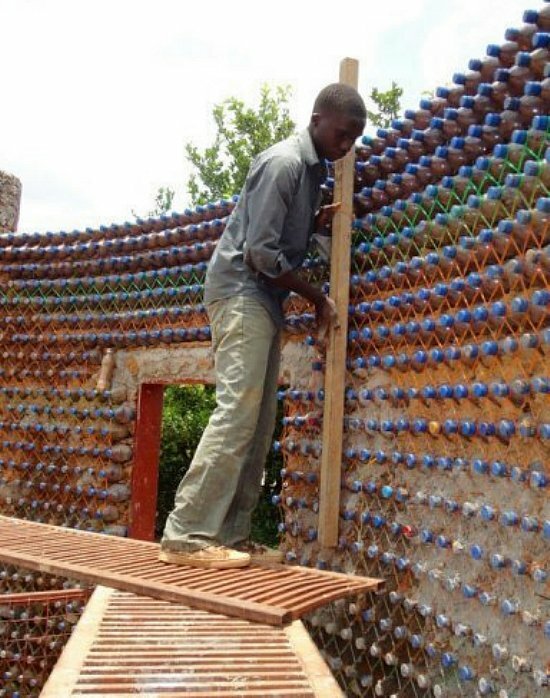 So, have you got a fresh idea how to reuse the plastic bottles you finish drinking from? If you have, you should really apply it and share with the people around you. This way we help getting some burden off of Mother Nature's shoulders. That was really a great house. A money saver and at the same time you will be able to recyycle the empty bottle and use it on many ways. Great creativity! how do you get them to stick togather?